When your air conditioner breaks, it becomes an emergency that disrupts your entire household. The goal is to repair or replace the unit as quickly as possible, but care should still be taken to find the most reliable and trustworthy air conditioning contractor for your project. This helps ensure that your home is restored to its original condition as quickly as possible. A trusted contractor will be able to assess, identify, and explain potential improvements or upgrades to your home’s air conditioning. 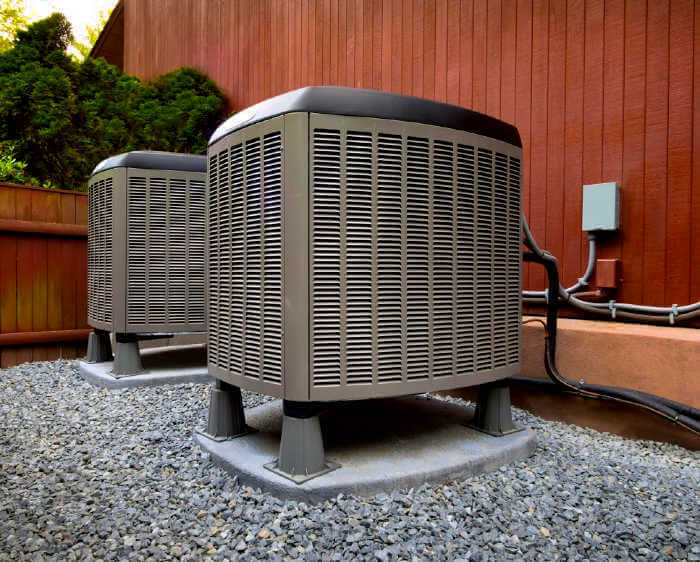 The average cost for a central AC unit will depend on the size of your home, the square footage of rooms needing to be cooled, the central AC system brand, and the energy efficient level (SEER), amongst other factors. To ensure a swift repair or replacement, a reliable contractor is key. There’s a lot to consider under the umbrella of reliability. In recent interviews, 90 percent of homeowners requested a checklist to help them find and vet contractors. Modernize now offers homeowners a free, digital Contractor Checklist as a simple, step-by-step guide to assist with your HVAC project. Here are some things you can do to ensure you find the best possible air conditioning contractor. Connecting with trusted air conditioning contractors in your area with Modernize. How much experience do you have with air conditioning repair or installation? You certainly don’t need to wait for an emergency before creating a meaningful relationship with your local air conditioning contractor. If you have a trusted contractor who has perhaps offered you an assessment of your AC unit, energy efficient upgrades or helped you learn the needs of your home, you will have less work to do when an emergency does arrive. It is always preferable to meet professionals and discuss the advantages of a new air conditioning unit on your own time instead of under the stress of an emergency. As with contractors for any home improvement, some are not honest professionals. Before choosing your contractor for a fast air conditioning repair or replacement, be sure you can trust them and that their estimate is transparent and complete. When it comes to an air conditioning replacement project, there are some hidden costs homeowners could be surprised with down the line. The best way to avoid these is to ask the contractor about them. Here is Modernize’s full review of the possible hidden costs in AC replacements. The best contractor is not always the cheapest contractor. And the best air conditioning replacement quote isn’t always the lowest. A recent Modernize survey revealed 63 percent of homeowners compare three to four contractor estimates ahead of a home improvement project. Evaluating multiple quotes helps homeowners scope their budget and encourages contractors to be competitive with their pricing. It’s important to understand your HVAC estimates and why quotes may vary from each other. Before comparing your own set of estimates, see our guide Evaluating Contractors’ Air Conditioning Replacement Quotes. Comparing contractors is easy and effective with our free worksheet to help homeowners find the best air conditioning replacement contractor. No matter what you use to determine who will replace your air conditioner, it’s important you keep in mind that saving money today could cost you much more money later if the repair isn’t completed correctly. Quality, especially when it comes to your home, is a lifelong investment.